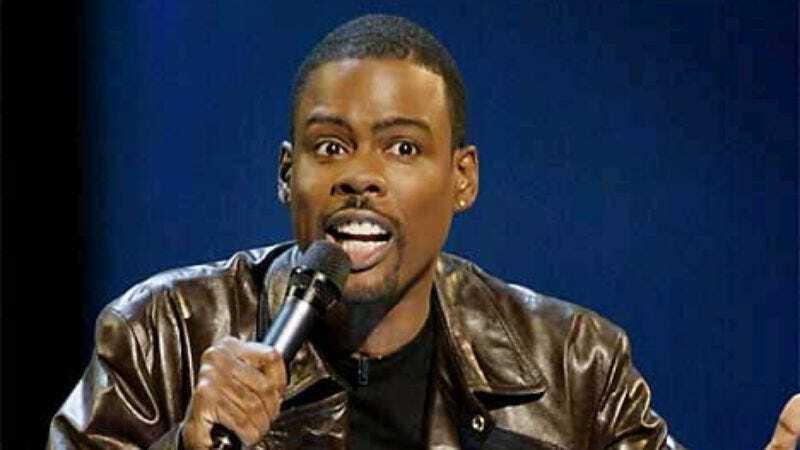 Chris Rock has lined up a cast for his third writer-directorial effort, Finally Famous. As previously reported, the film concerns a comedian-turned-movie star who decides to take a turn into serious acting. It is not explicitly based on Rock's real life, though he hasn't said it's not based on Tracey Jordan's attempt to EGOT. Exhibit A is the presence of Jordan's TV wife Sherri Shepherd, who plays Rock's still-interested high school girlfriend. Rock has also cast Gabrielle Union as his reality-show-starring fiancee—possibly named Feyonce, though that's unconfirmed as of press time—Rosario Dawson as a journalist who flirts with Rock's character, Kevin Hart as Rock's agent, and J.B. Smoove as his security guard/assistant. There's no release date yet, but at least we know Rock is moving on from the recent tragedy of Grown-Ups 2.